On October 17, 2017, Pennsylvania’s Environmental Quality Board (EQB) unanimously approved the adoption of proposed changes to the Storage Tank and Spill Prevention Program regulations found at 25 Pa. Code Chapter 245. Many of the proposed changes were prompted by EPA’s July 15, 2015 revisions to the federal storage tank regulations at 40 CFR Part 280, which must be implemented at the state level (in authorized states) within three years. 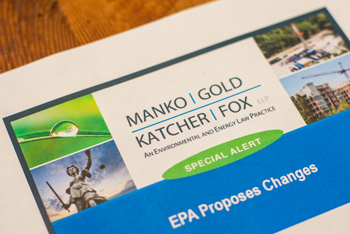 The Pennsylvania Department of Environmental Protection (PADEP) intends to publish the revised regulations for a 30-day public comment period in February of 2018. A visual inspection of spill prevention equipment and release detection every 30 days. A visual inspection of containment sumps and handheld release detection devices annually. Testing of spill prevention equipment every three years. Inspection of overfill prevention equipment every three years. Testing of containment sumps used for interstitial monitoring every three years. Annual testing of release detection equipment. Mandatory release detection for emergency generator USTs. Previously, emergency generator USTs were deferred from having to meet release detection requirements. Prohibit flow restrictors (ball float valves) as an option for overfill prevention in new UST systems. Significantly, the proposed regulations also add additional clarifying language to the regulatory definition of the word “release”. The additional language specifies that releases of regulated substances to containment structures are considered to pose an immediate threat of contamination of environmental media, and therefore are required to be reported except under specific circumstances. This proposed change, if adopted, is likely to result in substantially increased reporting of releases from the estimated 12,600 storage tank facilities in Pennsylvania.